Second, the developer currently pays a certain amount of SST on, e.g, consultant fees but that would be a portion of the input tax for the cost of construction and infrastructure which would be accounted for up to 40% to 50% of the total cost of a development. So, how can housing prices drop? 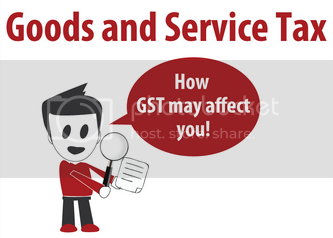 Inevitably, the developers will need to pay a great amount on GST compliance. In relation to that, consumer is the one who will pick up the tab for this added cost. Still, it is very unlikely for the government to declare property development as a zero rated supply. In fact, all development companies are paying sales and service tax even now. So, the property price in Malaysia will remain consolidate in short term view but will increase in long term basis. This entry was posted on Wednesday, November 27th, 2013 at 3:06 pm	and is filed under News & Announcement, Property. You can follow any responses to this entry through the RSS 2.0 feed. You can leave a response, or trackback from your own site.